So it’s been some time since you’ve been diving, maybe you’ve recently qualified and only dived on your qualifying dives. If it’s a holiday you’ve booked, with dives in mind, then the Dive Centre will expect that your diving experience is up to date, if not, it may require you to undertake a refresher course with them before you are allowed to go diving. Either way, it’s time to get wet again !! Signing up for the PADI Review Course is your salvation, it will satisfy Dive centres of up to date knowledge and skill level. 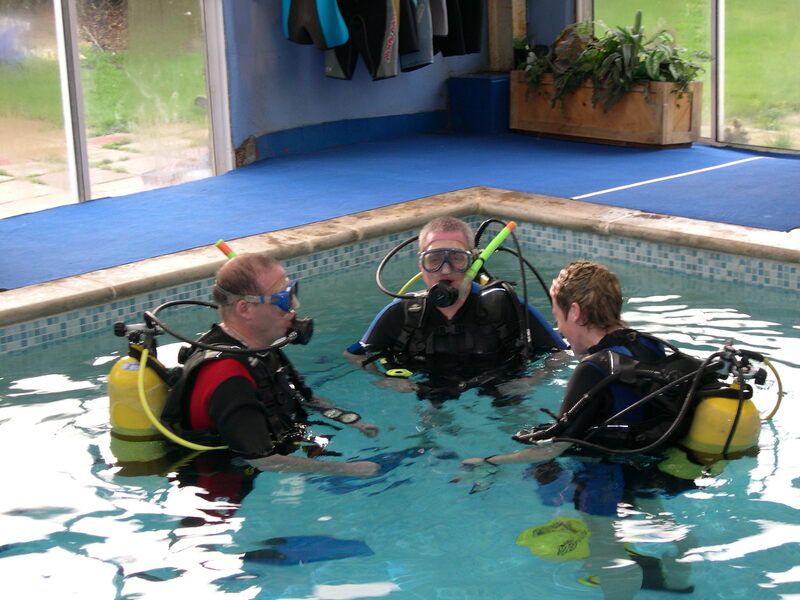 At Aquatechnique we begin with a “back to basics” approach, whilst the Theory elements are important, especially gasses under pressure and dive planning, we believe that the practical side is vital. We start with assembling the equipment, we teach you once again how to prepare and don your SCUBA units, to ensure its safe operation and to once again familiarise you with its preparation for diving. 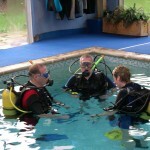 In the pool your Instructor will demonstrate all the watermanship skills you mastered on your PADI Open Water Course. The pool practical will be full of good diving tips, and refresh those skills that may have laid dormant since you qualified, it will of course be fun, revisiting and revatalising what you already know, and what you have already achieved.